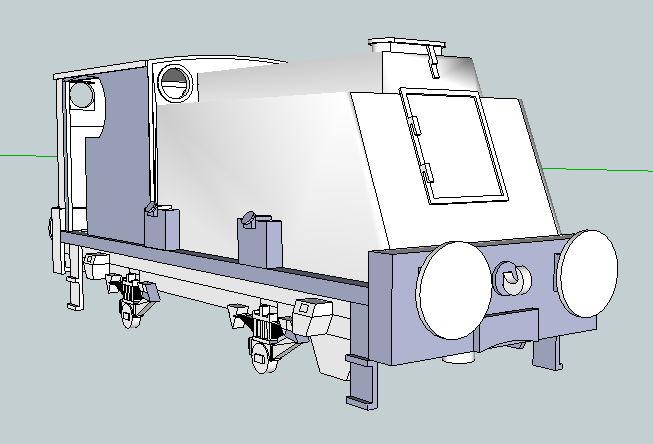 THE BRITISH RAILWAY STORIES LTD: "3D Modelling - Part 4"
After a week of progress, here's the finished "Proof of Concept" model, which, while not 100% accurate by any means, does at least give an idea of how the bodyshell will look when manufactured. 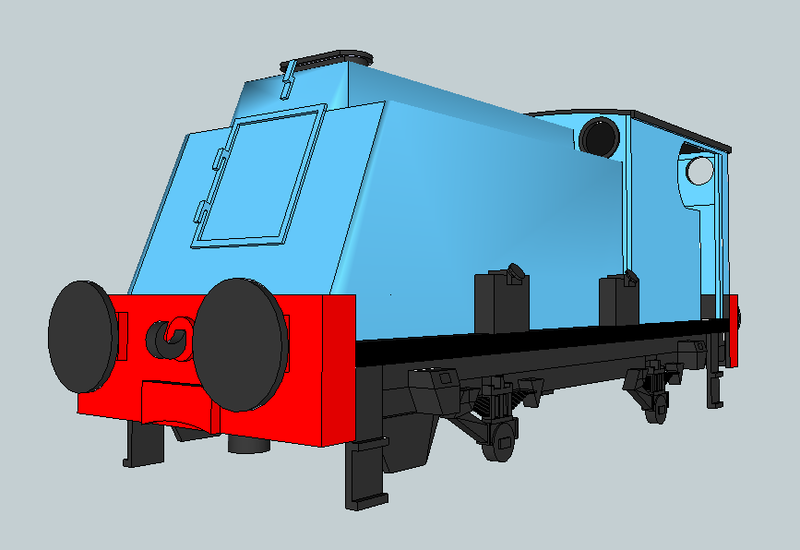 I think what stands out is how little clearance there is for the chassis picked for this to fit. The cab is the correct height, and the runningplate/bufferbeams correct width, but the running plate and bonnet proportions are very much out. 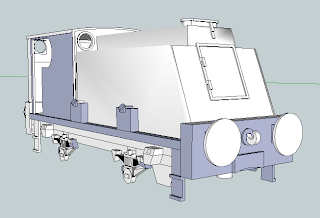 This is mostly due to the clearance required for the motor. 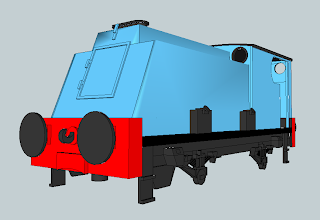 The model isn't entirely complete either - I have deliberately not put in handrails, for the simple reason that at this stage of the project, they are unnecessary - they can be easily added to a new mesh further down the line. 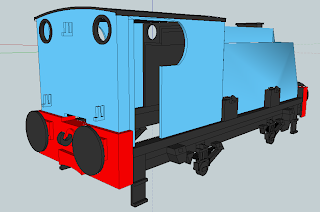 However, seeing if details such as the axle boxes, leaf springs and oil pots could be modelled, together with things such as buffers, were all very much necessary.